The Sarai Programme invites you to the eighth screening of the film series titled, The Wager on Cinema : Yukt Film Cooperative’s Ghashiram Kotwal The respondents for this film are Dhananjay Kapse and Milind Wakankar. 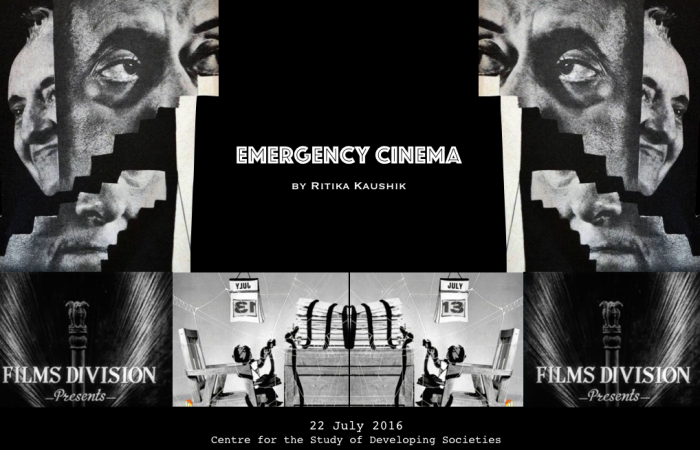 The Sarai Programme invites you to the seventh screening of the film series titled, The Wager on Cinema : Fathima Nizaruddin’s Nuclear Hallucinations. The respondents for this film are Subasri Krishnan and Ravi Vasudevan. 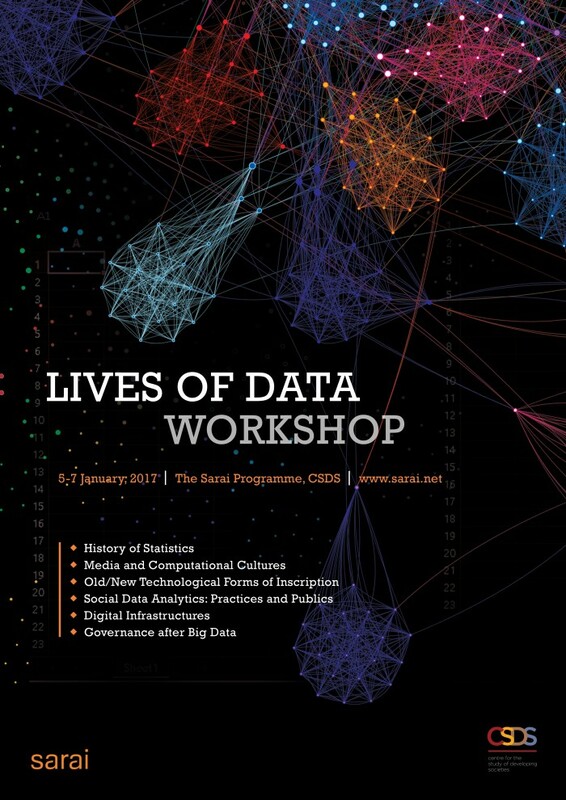 The Sarai Programme invites submission of abstracts for the ‘Lives of Data v2.0: Computing, Money, Media’ Workshop, 05-06 January 2018. Besides academic researchers, we strongly encourage media, design, and software practitioners to apply for the workshop. Abstracts should not exceed 300 words, and should be sent to dak@sarai.net by 15 October, 2017, with the subject heading ‘Proposal for the Lives of Data Workshop.’ Authors of the selected abstracts will be notified by 30 October, 2017. The Sarai Programme invites you to the sixth screening of the film series titled, The Wager on Cinema : Gurvinder Singh’s ‘Chauthi Koot’. The respondents for this film are Uma Chakravarti and Ravi Vasudevan. Date: 11 February, 2017. Time: 4 PM (Tea will be served at 3:30 PM). Venue: The Sarai Programme, Centre for the Study of Developing Societies, 29, Rajpur Road, Civil Lines, Delhi – 110054. The Sarai Programme, CSDS is organising the Lives of Data Workshop on 5th to 7th January, 2017. The workshop examines the historical and emergent conditions of data-driven knowledge production and circulation in India and South Asia. In the context of the Data Revolution, the workshop links emerging research on the history of statistics, new/old technological forms of inscription, digital infrastructures, and governance after Big Data in India and South Asia. Limited seats are available to attend the workshop. To register, please fill up this form. The Sarai Programme and The Centre for Internet and Society (CIS) invite you to a workshop on ‘Privacy after Big Data: What Changes? What should Change?’ on Saturday, November 12, 2016. This workshop aims to build a dialogue around some of the key government-led big data initiatives in India and elsewhere that are contributing significant new challenges and concerns to the ongoing debates on the right to privacy. It is an open event. Please fill this registration form to participate.